Missouri Governor Eric Greitens (R) signed abortion-related legislation into law on Wednesday in Jefferson City. Greitens signed the bill during a Statehouse ceremony, flanked by several GOP lawmakers. Just hours earlier, House Speaker Todd Richardson, R-Poplar Bluff, signed it. Richardson tells the Capitol Press Corps he’s pleased. “A lot of work went into this both from House members and our colleagues over in the Senate, and we’re obviously happy with the outcome,” Richardson says. The House approved State Rep. Diane Franklin’s, R-Camdenton, bill by a 110-38 vote in June. Speaker Richardson notes two veteran Democratic lawmakers, State Reps. Ben Harris, D-Hillsboro, and Joe Runions, D-Grandview, voted for the bill. The new law signed by Greitens includes whistleblower and fetal tissue language. It also allows for unannounced annual inspections of clinics. Democratic critics like State Rep. Cora Faith Walker, D-Ferguson, wanted lawmakers to address infant mortality rates. State Rep. Sarah Unsicker, D-Shrewsbury, says Missouri ranks 42nd in maternal mortality and 32nd in infant mortality. 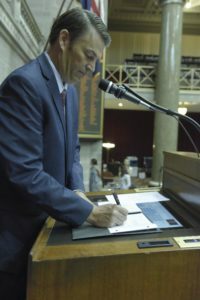 State Rep. Joshua Peters, D-St. Louis, told colleagues on the House floor in June that his north St. Louis district has the highest infant mortality rate in Missouri. Senate President Pro Tem Ron Richard, R-Joplin, says the bill “restores common-sense measures” to protect women’s health. 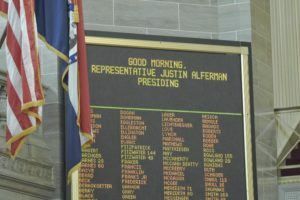 State Rep. Justin Alferman, R-Hermann, who presided during part of Wednesday’s House technical session, tells Missourinet the bill signed by Greitens will protect women’s safety. “It is significant in making sure that women’s health care is done in a proper way, if they are going to have an abortion procedure,” Alferman says. 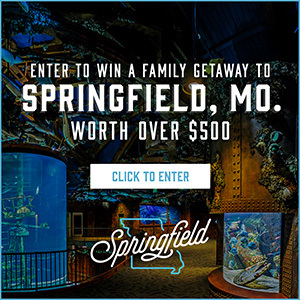 Alferman represents Franklin, Gasconade and Osage counties in his sprawling east-central Missouri district. The bill also gives the Attorney General more jurisdiction to enforce Missouri abortion laws.